DAVID LE/Staff photo. 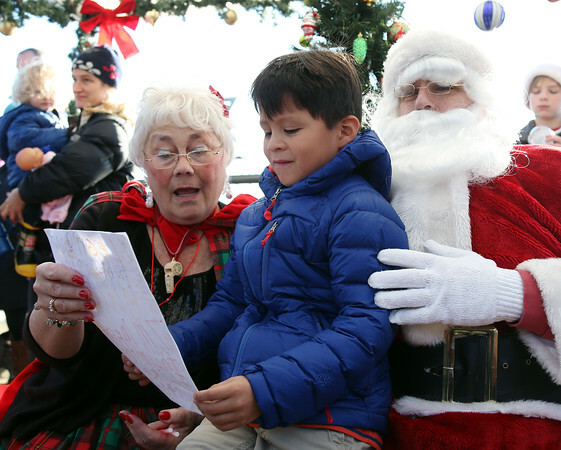 Six-year-old Alex Boehning, of Marblehead, sits on Santa and Mrs. Clauses laps while reading his Christmas list to them after Santa arrives by lobster boat to The Landing in Downtown Marblehead on Saturday morning. 12/6/15.